Approximately 15% of incarcerated people have serious mental illness, although that number can vary depending on the type of illness. 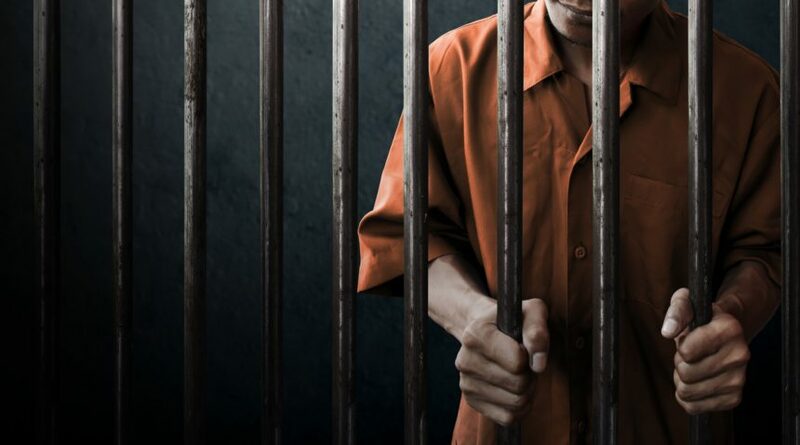 “The country’s largest mental health facilities are prisons,” Reena Kapoor, MD, associate professor of psychiatry and associate program director, Forensic Psychiatry Fellowship, Yale School of Medicine, New Haven, Connecticut, told Psychiatry Advisor. “Before I took a position as a prison psychiatrist, a colleague told me that it is the same as performing psychiatry in other settings, such as community mental health centers,” said Dr Kapoor, who has worked in 2 Connecticut correctional facilities, one of which is the main prison for inmates with mental illness. “I saw that it was true and I could have seen the same people in a community mental health center — the difference is that the external environment is very different in a correctional setting and not conducive to maintaining the patient’s mental health,” she said. “The challenge is how to provide the same treatment you would provide on the outside in an environment that was never designed to treat mental illness,” she said. However, some degree of confidentiality can still be maintained, Dr Kapoor said. 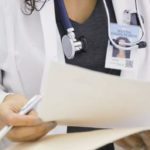 “Just as in the noncorrectional world, doctors in prison settings have to keep health information confidential, and healthcare files are typically kept separate from other files for that reason,” she said. An exception must be made, however, when a patient reveals information threatening the safety or security of the facility, intending harm to another person, or revealing the intention to escape, she said. “Those instances are rare,” she added, noting that throughout the years of her own clinical experience in the correctional setting, this situation has never occurred. Another possible exception is that when people have very severe illness or repeated problems in the facility, “straddling the line between mental health and custody is advantageous because it is in the prisoner’s best interest for the psychiatrist and the staff to collaborate in coming up with a treatment plan,” she said. For example, people taking certain psychotropic medications should not be subjected to high temperatures, Jeffrey Metzner, MD, clinical professor of psychiatry, University of Colorado School of Medicine, Denver, and associate director of the Forensic Psychiatry Fellowship Program there pointed out. “If it’s 90 degrees outside, the correctional staff must be aware [of the inmate’s medications] so the inmate will come inside. Officers need to know and watch when inmates are at risk for self-harm, although the personal history does not need to be shared,” he told Psychiatry Advisor. He clarified that mental health evaluations should not be conducted at the cell front, but rather in a more private setting. Kapoor added that a psychiatrist is obligated to keep confession of past crimes confidential, disclosing only information that is relevant to current threats and imminent danger. Difficulties can arise, however, during intake screening, transfer screening, or initial health assessment.6 The inmate’s medical and medication history is rarely available and many inmates are unable to provide complete or accurate information.6 Prison formularies are also limited and inconsistent across different facilities, Dr Kapoor added. “You should consider all kinds of treatments, including nonpharmacologic — for example, to improve quality of sleep — and individual as well as group therapy, when available,” Dr Kapoor advised. Mind-body approaches (eg, yoga, meditation, Qigong) are sometimes available in correctional institutions. Contacting organizations that teach these modalities (such as Prison Yoga Project[CM1] [LS2] , North American Vipassana Prison Project, Prison Mindfulness Institute, Qigong Institute, and Gangaji Foundation Prison Program) might facilitate introducing them into a correctional institution that does not currently offer them. “Suicide is a significant issue in correctional psychiatry, which is why in the past 10 to 20 years, there has been significant emphasis on suicide prevention programs,” Dr Metzner commented. Additional high-risk times are when a person is placed in segregation, during withdrawal from drugs or alcohol, when the person has serious or violent charges against him or her, and if the person is being incarcerated for the first time, Dr Kapoor said. Solitary confinement is often misunderstood, Dr Metzner said. “The current term is ‘restricted housing’ or ‘administrative segregation’ or ‘disciplinary segregation’ because ‘solitary’ implies that you are locked down and isolated from everyone, while in reality, there may be other people on your unit,” he explained. In restricted housing, the inmate is not allowed to mingle with the general population and is locked in the cell often for as much as 23 hours per day. Although the inmate may still communicate with prisoners in other cells, and be allowed exercise and visits by mental health or medical professionals, he or she is barred from contact visits with family or friends. “The use of solitary confinement, especially in inmates with mental illness, has become controversial and the focus of prison reform efforts,” Dr Kapoor said. However, there is some controversy surrounding the harms of segregation. “We used to think that segregation was conclusively shown to be harmful, but some recent research has suggested that there is a more nuanced picture of how people respond in isolation,” she said. “Many patients do indeed lose hope or get depressed in long-term isolation, and some inmates decompensate, banging on the cell door, flooding the cell with toilet water, throwing body fluids at guards, or smearing feces,” she said. This is most acute in inmates with lower education level, intellectual disabilities, or preexisting mental health disorders, she pointed out. On the other hand, “some people I worked with in prison did not want to leave [segregation] because they felt safer from gang violence or from noise and overstimulation, and would even engage in some type of disciplinary misconduct so that they would be allowed to stay,” she said. However, in general, “There is a clear trend across the country to limit use of restricted housing, both in duration and in numbers, because it is recognized that segregation doesn’t have a rehabilitative effect and should be used only for safety or short-term disciplinary purposes,” Dr Metzner said. Treating inmates on death row is not necessarily more stressful than treating inmates in other prison settings, Dr Metzner said. “In most states, it is rare that a psychiatrist will have to deal with an impending execution — for example, in California many people are on death row with legal appeals pending for at least 20 years,” he said. “But although most inmates don’t end up getting executed, they’re there for decades, which has its own challenges — coming to terms with the possibility that they’re likely to be there for the rest of their lives, so the challenge of the psychiatrist working with patients on death row is how to make prison life meaningful,” he said. Correctional psychiatry can be a “rewarding career,” he emphasized. Burns AK. Psychiatry behind bars: practicing in jails and prisons. Curr Psychiatr. 2011;10(2):15-20. Wagner P, Sawyer W. Mass Incarceration: The Whole Pie 2018 [press release]. Prison Policy Initiative. https://www.prisonpolicy.org/reports/pie2018.html. March 14, 2018. Accessed September 1, 2018. Temporini H, Feuerstein S, Coric V, Fortunati F, Southwick S, Morgan CA. Correctional psychiatry. Psychiatry (Edgmont). 2006;3(1):26-29. Reingle Gonzalez JM, Connell NM. Mental health of prisoners: identifying barriers to mental health treatment and medication continuity. Am J Public Health. 2014;104(12):2328-2333. Trestman R, Ash P, Champion M, et al; for the Workgroup on Mental Illness and Criminal Justice of the Council on Psychiatry and Law. American Psychiatric Association Position Statement on Psychiatric Services in Adult Correctional Facilities. July 2018[CM3] [LS4] . The American Academy of Psychiatry and the Law. Practice resource for prescribing in corrections. J Am Acad Psychiatry Law. 2018;46(2 Supplement):S2-S50. Krassner D. A day in the life of a prison psychiatrist. Psych Serv. 2011;62(4):350-351. Scaggs S, Bales WD, Clark C, Ensley D, Coltharp P, Blomberg TG. An Assessment of Substance Abuse Treatment Programs in Florida’s Prisons Using a Random Assignment Experimental Design. https://www.ncjrs.gov/pdffiles1/nij/grants/249843.pdf. April 2016. Accessed September 10, 2018. World Health Organization. Preventing Suicide in Jails and Prisons. http://www.who.int/mental_health/prevention/suicide/resource_jails_prisons.pdf. 2007. Accessed September 10, 2018. Liebling A. Prison suicide and prison coping. Crime and Justice. 1999;26:283-359. Kapoor R. Taking the solitary confinement debate out of isolation. J Am Acad Psychiatry Law. 2014;42(1):2-6. American Psychiatric Association. Position Statement on Segregation of Prisoners with Mental Illness. https://www.apa.org/advocacy/criminal-justice/solitary.pdf. December 2017. Accessed September 10, 2018.